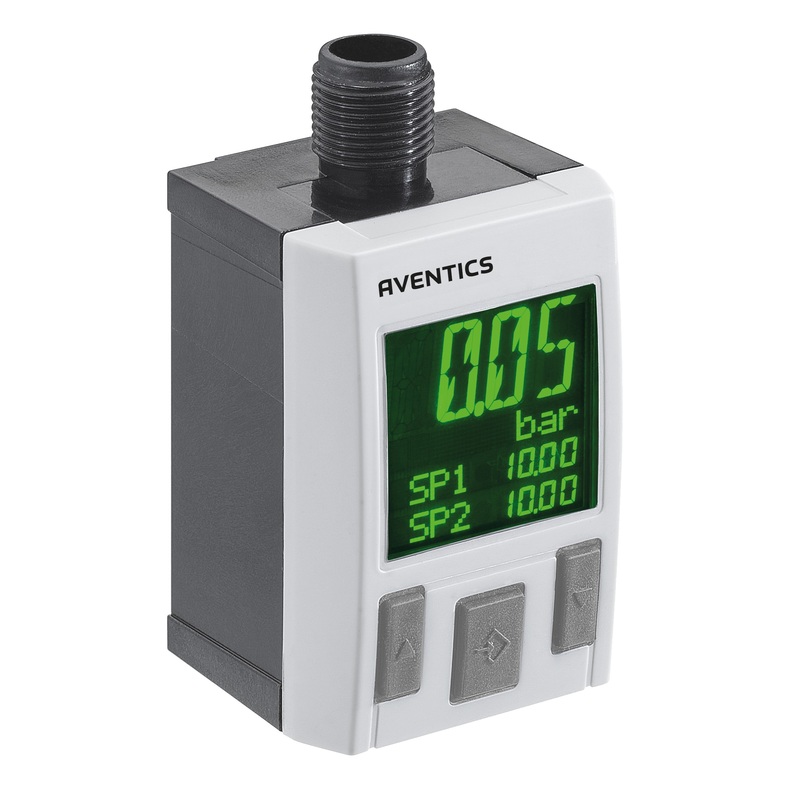 Emerson’s new IIoT-enabled Aventics PE5 pressure sensor alerts for excessive compressed air leaks, pressure drops and power supply issues. Pressure losses in pneumatic systems can be costly. The new pressure sensor measures systems losses and will alert when the leakage rate exceeds a pre-determined value. This enables excessive leaks to be diagnosed early and addressed, before they become a major issue. The sensor has two digital outputs, or one digital and one analogue output. An I/O-link connection makes it simple to connect to an IIoT network. The sensor can be fitted on new installations or easily added to an existing machine. When the machine is switched off, the sensor measures pressure loss over time. If the pressure drops faster than desired, a local alert is set, and a signal can be sent via the analogue or digital outputs. The local alert consists of a change in display colour from green to red. To trigger a maintenance task or to automatically generate a work order, the signals can be sent to a PLC or other network. The analogue output can be switched between a current or voltage signal – the user has full control over the set points. Thus, the I/O-link connection offers additional set-up and diagnostic options. OT security – are your systems safe?